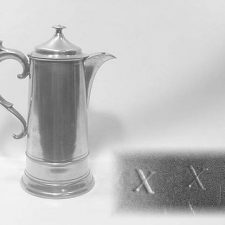 A fine condition and well-marked 10¾” h. elongated coffeepot by Allen Porter of Westbrook, ME circa 1830-1840. 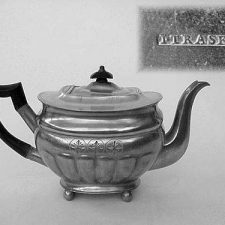 The banded decoration adds to the grace of the pot. 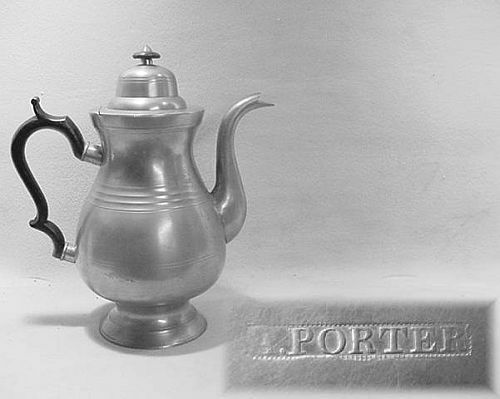 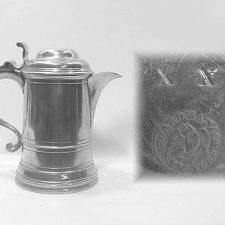 Porter made many types of pewter in the Britannia period.